Rachel Khoo is a television chef and cookbook author with an extremely like-able, very watchable, girl next door vibe going on. She’s probably most well-known for shows such as A Cook Abroad: Rachel Khoo’s Malaysia and books like My Little French Kitchen. Rachel now lives in Sweden and therefore, not surprisingly, has turned her attention to Swedish cuisine. 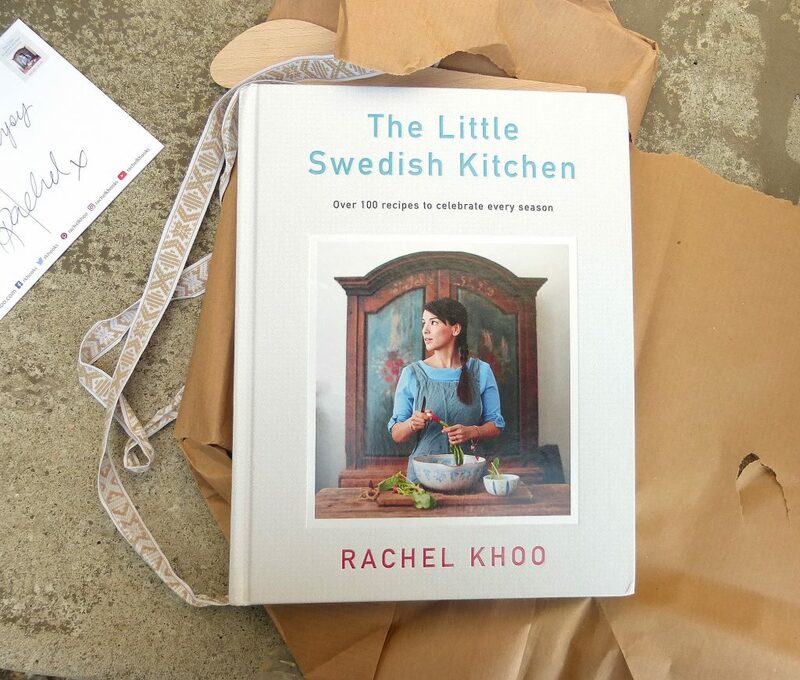 When I was asked if I’d like a copy of Rachel’s new book, The Little Swedish Kitchen, the answer was yes. Obviously. 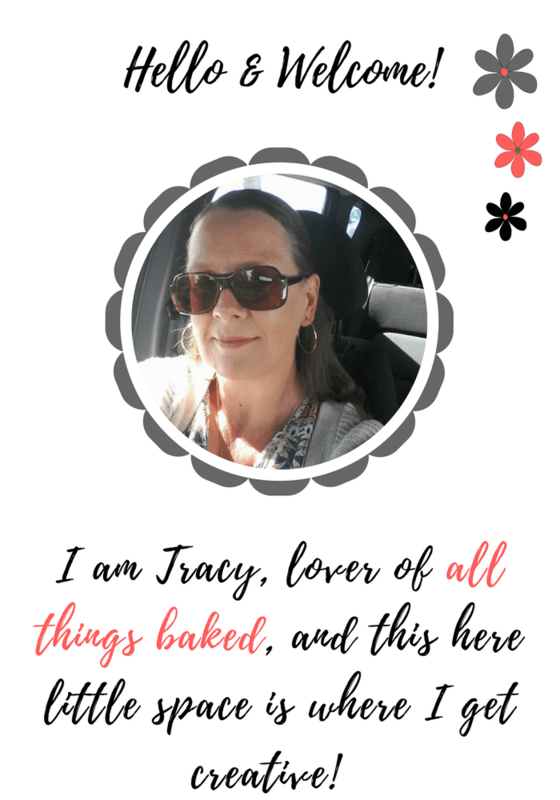 I was interested to get my hands on the book as Swedish food can be, well, less adventurous than other cuisines and I was curious to see what Rachel had made of it. 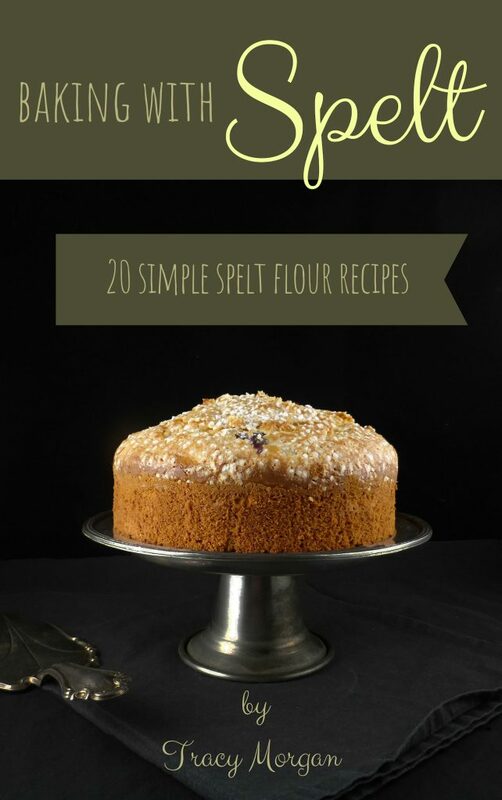 If I am honest, I didn’t really expect to find too many recipes I wasn’t already familiar with. Of course I was wrong. 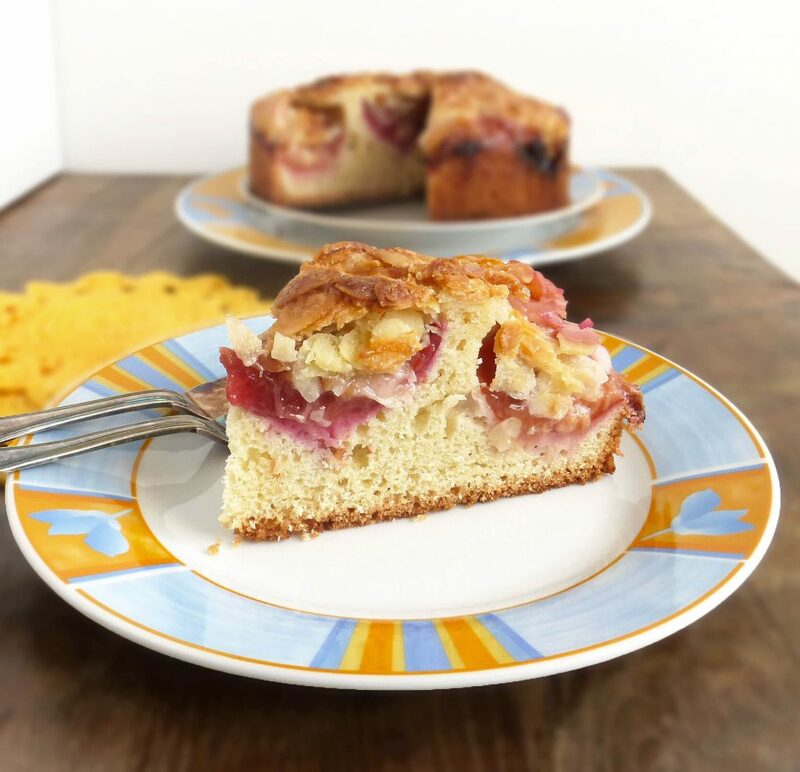 Although there are Swedish mainstays like buns and kladdkaka, there are also many more inspiring recipes with interesting ingredients. I also like how Rachel has given her own personal twist to Swedish classics. The book is beautiful to look at, easy to read and cleverly broken down into sections (seasons). I don’t buy many hardback books these days and it feels luxurious to sit quietly for a minute, turning over page after page full of exquisite food shots and laid back instructions. Sweden and its culture holds fascination for many people and if you’ve ever wanted to find out more about the food they eat, you really don’t need to look any further. It took me forever to decide which recipe I would make first. No prizes for guessing it would be a dessert, though. 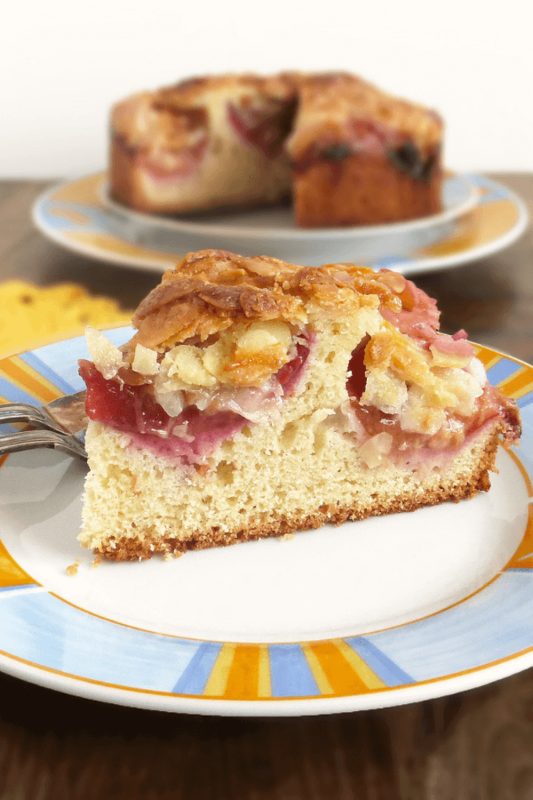 As I had plums rapidly softening in the fridge, I decided on plum Tosca cake, a version of the Scandinavian classic. 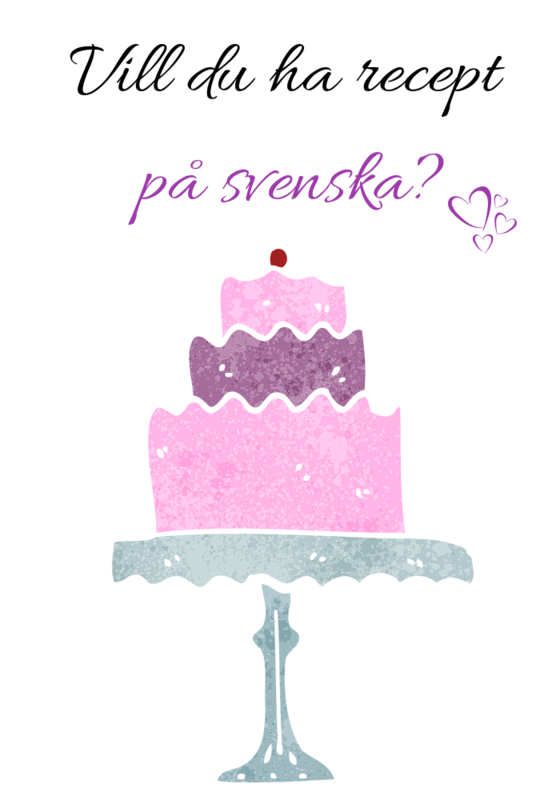 The history of Toscakaka, as the Swede’s like to call it, is as blurred as the cake is delicious. Truth is, nobody seems to really know for sure where it originated or how it got its name. Rumour has it that it was inspired by Puccini’s opera. Very exciting but it just doesn’t fit with Scandinavia. It’s much more likely to pay homage to the almond cakes found in Tuscany (Toscana in Italian). 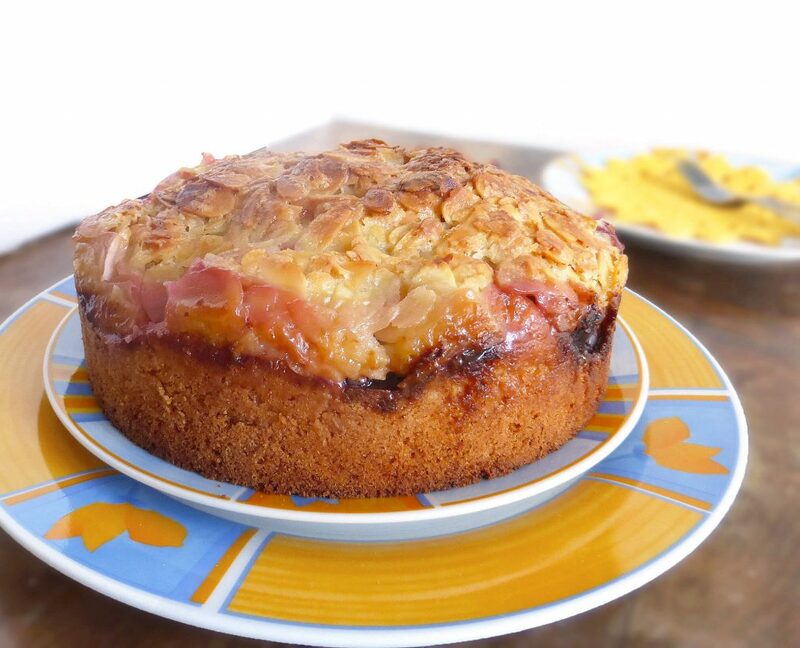 Tosca cake is an irresistible combo of soft buttery sponge and crunchy almond topping. The plums complement the cake exceptionally well, adding a tart element to the equation. I pretty much followed Rachel’s recipe to the letter, apart from I did halve the ingredients and use a smaller spring-form pan. Pre-heat the oven to 160ºC (320ºF). Prepare a small spring-form pan (mine is 6" or 18cm) by greasing or lining with baking paper. Beat the sugar and butter together until it is pale and fluffy. Add in one egg at a time and continue to beat until well incorporated. Finally, add the vanilla extract. In a separate bowl, mix the baking powder and flour and fold into the wet ingredients. Pour the thick batter into the prepared tin and level it off. Place the plums skin side down in the batter and bake for around 30 minutes. Aim for a cake that is still a little soft in the middle. While the cake is baking, prepare the topping. Melt the butter in a small pan. Remove from the heat and add the other ingredients, giving it a stir until everything is well combined. When ready, remove the cake from the oven and set the temperature to 180ºC (350ºF). Sprinkle the topping over the cake and spread it so that there is an even coverage. Return the cake to the oven and bake for a further 20-25 minutes, until the cake is nice and golden. Serve warm with cream or custard. Enjoy! If you’re interested to find out more about Rachel and what she thinks about Swedish food, have a watch of the video below. 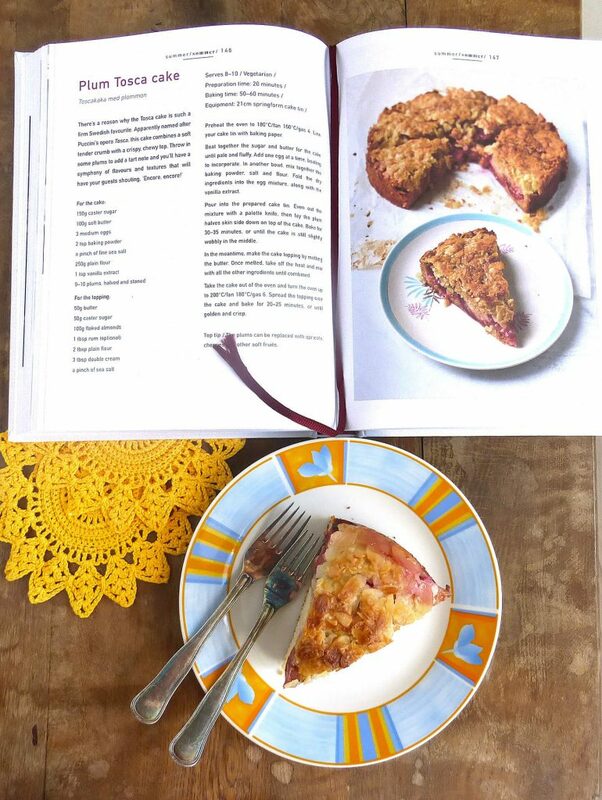 I received a free copy of The Little Swedish Kitchen and was kindly given permission to re-create this recipe.